Thanksgiving is a time for family and friends to come together and give thanks for one’s blessings. Here are some tips to keep your pupper happy and healthy during the big feast! When having friends and family over, planning ahead will keep your pets safe and make the experience less stressful for everyone. Visitors may upset your dog. Dogs that are shy or excitable around new people or in crowds, can become stressed or overstimulated with the increased noise and activity. If this is the case, feel free to put the dog in another room or a crate with a favorite toy or deliciously filled Kong. The goal is to ensure your dog feels safe and has a positive experience when others are in the home. If your dog is comfortable with guests, be sure to monitor their whereabouts and interactions. Rude and pushy behavior should not be encouraged, especially towards children. Be sure to speak with Uncle Bob about roughhousing with your dog, as it may overexcite him. As always, supervise interactions with children and other guests’ pets and give them breaks from the festivities. 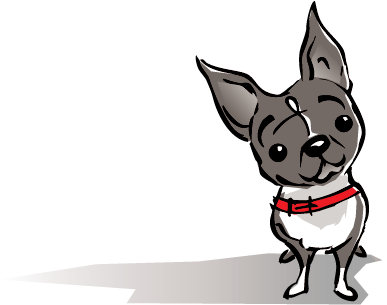 Whether your dog is well-socialized or slightly skittish, always be mindful at exits when guests are entering and exiting your home. Dogs can easily slip out during greetings and good-byes and become lost. Festive decorations and holiday displays with things like pine cones, needles, etc. can cause intestinal blockages or punctures if eaten. Some decorative/festive plants can be even toxic. The safest option is simply to keep your pets away from all plants and table decorations. They should be placed high and out of reach. Family gatherings are usually filled with plenty of foods and overindulging can be unhealthy for humans, but even worse for pets. Management becomes very important when keeping the food on the table and not under. Be sure to speak with your guests and advise them to not give any food to the dog. This can encourage begging and over time, it can lead to obesity. Select food can be given to your pet at a later time but reinforcing this behavior during a gathering can be difficult to modify later. 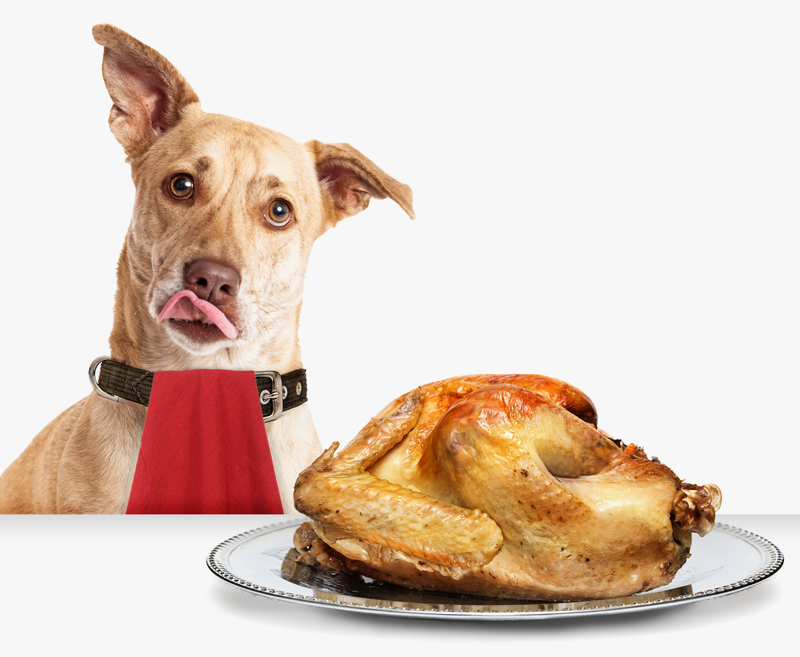 Be sure to discard of any excess bones, wrappings, or packaging during the cooking process. Consider lockable trash cans or throwing it away in trash bins provided by your local garbage service. If you need to crate your dog during dinner or remove the dog from the party, be sure to leave him/her with a toy or Kong with some treats as a distraction. Know where to go and who to call in case of an emergency day or night, including Emergency Vet Clinics. If you suspect your pet has ingested something harmful, call your veterinarian or the Poison Control Center immediately. Be safe and have a Happy Thanksgiving!